A&E: It’s not just a TV channel with dramatic reality shows! A&E stands for Architecture and Engineering. Often, contracts with Architects cover A&E services, including Architecture, MEP Engineers, and Structural Engineers. Depending on your project, Civil Engineering and other Engineering may also be included or need to be added. ACT: You know the ceiling with a grid of squares or rectangles you stare at when you’re at the dentist? You may have also thrown pencils into it when you were a kid in school. That ceiling is called ACT, short for Acoustic Ceiling Tile. There have been advances in aesthetics, but basically ACT is comprised of a structural grid and in-laid tiles. Its primary advantages are economy (relatively affordable) and its pretty good at absorbing sound. That’s why you see it so much in classrooms and offices. ADA: ADA is the acronym for the Americans with Disabilities Act. It is federal legislation that prohibits discrimination against people with disabilities. While the ADA has become synonymous with building code regulations (and there are requirements within the ADA to comply with it, so not to discriminate and to provide equal access), the ADA is not a building code. Local authorities incorporate and enforce aspects of the ADA within their own building codes and construction requirements. It is possible to not receive construction permits because a Building Owner is not following accessibility requirements, but the bigger risk for a Building Owner in not complying with accessibility requirements is that, given the existence of the ADA, the Building Owner exposes him/herself to personal liability for discrimination; and the Building Owner may be found to be violating the Civil Rights of an individual with disabilities. Add Alternate: When putting a Bid Set together, the Owner and Architect may want to know the cost for adding something that may be more expensive. An example may be that a guardrail is shown in the drawings to be aluminum posts with stainless steel cables, but the Owner and Architect want to know how much more it would cost to have a glass railing instead. This alternative option that will add cost to the project is known as an Add Alternate. The Architect may list Add Alternates at the beginning of a drawing set or in the Instructions to the Bidder. Additional Services: Additional Services are services that are beyond the Basic Services or Original Scope of the Agreement between the Architect and Owner. Additional Services may be added and provided at an additional cost. Addendum: An Addendum is a change in what is being requested from Bidders during the Bidding process. An Addendum may consist of changes to the Bidding Documents, Bid Set, and/ or changes in the Instruction to the Bidders. A.F.F. : AFF is the acronym for Above Finished Floor. This label is often used on drawings to describe elevations. For example, a ceiling that is 10 feet high is noted as 10′ A.F.F. AHCA: AHCA is short for the Florida Agency for Health Care Administration. Health Care projects, such as hospitals, in Florida must be approved by AHCA. AHJ: AHJ stands for Authorities Having Jurisdiction. It is a common way to refer to the governmental agencies that have regulations affecting your project, including the municipality that will review the Permit Set and approve Construction Permits for your project. AHU: AHU is the acronym for Air Handling Unit. An AHU is the portion of a split-system air conditioner that is inside, typically in a closet or above a ceiling. AIA: AIA is the acronym for American Institute of Architects. The AIA is the industry leading professional organization for American architects. When a professional has the AIA credential by his or her name, it indicates that he/ she is a licensed architect that is an active member of the AIA. You may search the AIA’s website to verify an architect’s membership and license, as the accreditation is sometimes inappropriately used by non-licensed designers. 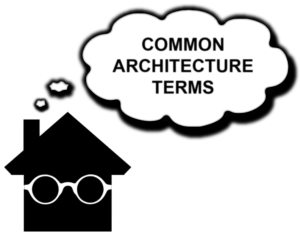 You may also visit the AIA website for resources on architecture. Alternate: An alternate is an alternative possibility for the Bidder to consider. An Alternate may be an Add Alternate or a Deductive Alternate. Architect: An Architect is a licensed professional who design, plans, and performs administration of construction contracts for habitable structures. An Architect must satisfy several requirements, including the minimum of a five year professional undergraduate degree or a two year professional masters degree, three-year internship encompassing multiple aspects of the profession, pass several licensing exams, and maintain continuing education requirements of the State. The term Architect is legally protected to identify licensed professionals, and if someone who is not licensed claims to be an Architect or describes him/ herself as an “unlicensed Architect” it is a violation of the law, just as someone who claims to be a Doctor or a Lawyer but is not is violating the law. For your protection, be sure that you are working with a licensed Architect. In most locations, you can search the State’s database of Architects online. Architectural Process: While the Architectural Process may vary slightly with each Architect and project, there are standard Phases, which typically form the Architectural Process. At PRAVDA ARCHITECTURE/ DESIGN, these phases are the following: Pre-Design Services, Feasibility Study, Schematic Design, Design Development, Construction Documents, Bidding and Contract Negotiation, Permitting, and Construction Administration. As-Builts: As-builts is a term for drawings of what is actually there. If your project consists of a renovation, the Architect may ask for As-Builts of what is already there; and if you do not have them, the Architect will have to create existing drawings from which to start. Also, at the completion of your project, it is beneficial to require As-Builts from your GC, as what is actually built may deviate from the CD’s created by your Architect. It is important to note that the Architect creates trade drawings of the existing conditions, based on what is visible and apparent, which are legally different than record As-Builts from your GC, which should be informed by the construction performed. Basic Services: Basic Services are typical architectural services, without any Additional Services. B.F.E. : BFE is the acronym for Base Flood Elevation. The BFE is the minimum elevation, per FEMA, at which new construction must be built. This is a federal requirement. Given, the BFE is the federal minimum, FEMA recommends that new development be built at least one foot above the BFE. Local Codes can have stricter requirements. B.F.F. : In a text message, BFF may mean Best Friends Forever, but in architecture BFF is the acronym for Below Finished Floor. This label is often used on drawings to describe elevations. For example, the structural slab that is below the floor finish would be noted as 1 1/2″ B.F.F. Bid: A Bid is a General Contractor’s Construction Cost Estimate Proposal. In a Traditional Architectural Process, General Contractors submit Bids during the Bidding process for the Owner’s consideration in the selection of a General Contractor. Bidding and Contract Negotiation: Bidding and Contract Negotiation is the phase in the Architectural Process that involves the establishment and administration of the bidding process- when GC’s study the CD’s and provide a Bid. It may also involve the Architect’s issuance of addenda, evaluation of proposed substitutions, review of bidder qualifications, replying to RFI’s by GC’s, and assistance to the Owner in the analysis of bids, for the Owner’s selection of the Contractor(s). Bid Set: The Bid Set is the drawing set used by General Contractors to create their Bids. Often the Bid Set is the same as the complete Construction Documents or Permit Set, but it does not necessarily have to be the same drawing set. BIM: BIM stands for Building Information Model or Building Information Modeling. BIM consists of a data-rich, 3D model. B.O. : We’re not talking about Body Odor here… B.O. is short for Bottom Of, and it is a typical note on drawings. For example, to create a continuous plane from inside to out, a note may say that the B.O. an exterior overhang aligns with the finish of the interior ceiling. Building Envelope: The Building Envelope (or Envelope of the Building) refers to the overall exterior shell of the building. This term is often used when talking about sustaining wind loads and ensuring a thermal and moisture barrier. The Building Envelope, comprised of exterior walls, windows, doors, and the roof keeps the outside elements out. CA/ Construction Administration: If you’re mailing a letter, it may stand for The Golden State, but in architecture, CA means Construction Administration or Contract Administration. CA refers to the architectural phase and architect’s duties during the construction of your project. CAD: CAD is the acronym for Computer Aided Drafting, and it is often used to mean AutoCAD (ACAD), a specific software. AutoCAD was the most prolific software and production tool for architects and engineers in the 80’s and 90’s. It basically took drafting that used to be done by hand and transferred it to the digital world. Starting in the early 2000’s, BIM changed workflow and production in architecture & engineering. CD’s/ Construction Documents: Before DVD’s and mp3’s, there were Compact Discs, but that’s not what we’re talking about here. CD’s is the abbreviation for Construction Documents or Contract Documents. CDs may be used to refer to the architecture and engineering drawing set created, which are given to the General Contractor, so he/ she can build your project, and CD’s may also refer to the architectural phase in which these drawings are created. The Construction Documents phase is that in which the Architect prepares written and/ or graphic instructions used for construction of the project. Certificate of Use: The Certificate of Use is a document issued by the Fire Department or Code Compliance Department, stating that the building may be used for a given activity. A Certificate of Use is most relevant to a project when there is a Change in Use to an existing building, or if there is a new use, typically commercial in nature, for a new building. Change Order: A Change Order is issued when a change is made to the project during construction. CL: CL is short for Center Line, and it is a common note on drawings. For example, a plan may call for the CL of a door & the CL of a window to align. Clerestory: Clerestory are high windows that are above eye level and let in natural light. When operable, they may also be used for natural ventilation. CM: CM is the acronym for Construction Management or Construction Manager; so the Owner may hire a CM to perform CM. By having a CM, the Owner has one point person who is in charge of making sure that everything runs smoothly for a project. CMU: CMU is the acronym for Concrete Masonry Unit. CMU is concrete block, and it is the most common exterior wall assembly and structure when building in South Florida. C.O. : CO is short for Certificate of Occupancy. Upon project completion the Building Official for the Permitting Agency issues a CO, stating that the area has been built in compliance with applicable codes and regulations, and the space may be inhabited. Condenser Unit: A Condenser Unit is the portion of a split-system air conditioner that is outside, typically on a metal stand or concrete pad. Construction Cost: The Construction Cost for a project, which is the expense to physically build a project, is one aspect of the overall project cost. When establishing the budget for your project, it is very important to delineate the difference between Overall Project Cost and Construction Cost. Construction Permit: A Construction Permit or Permit for Construction is a term typically used to refer to a Master Permit for Construction. It is issued by your local authority after the Permit Set has been reviewed and approved, so you can begin construction. Typically, after the Master Permit has been issued, there are still multiple, separate Permits to be pulled throughout the construction process. Consultant: A Consultant is a separate entity hired for a project, for a specific purpose. A Consultant may be hired by the Architect or the Owner. Common examples of Consultants are a Pool Consultant when placing a swimming pool, a Lighting Consultant for advanced lighting design, and a Financial or Land Use Consultant when the Owner wants expert specialization for the highest ROI on a development. The term Consultant may also be used to refer to Engineers on a project. Contemporary: Contemporary is a term used to describe architecture that is of the current times. Contemporary designs draw upon what is currently popular, rather than drawing upon a historical architectural movement or psychological approach to inform, inspire, or influence the design. While the terms are sometimes generically used interchangeably, it is important to note the differences between Contemporary designs and Modern designs. Cost Plus: Cost Plus is an option for how to structure a Bid and Agreement from a General Contractor. In a Cost Plus Agreement, the Construction Cost is set by the transparent costs of construction to a General Contractor (including the expenses of sub-contractors, materials, etc. ), plus a certain percentage or lump sum amount for the General Contractor’s Overhead and Fee. The other common option for structuring a Bid and Agreement is a GMP. CSI: CSI stands for Construction Specifications Institute. CSI is the main organization that establishes industry standards for construction specifications. The CSI Masterformat is most commonly used in architectural Specifications and in the organization of Bids. DD/ Design Development: Design Development is the architectural phase in which the project’s design is refined and finalized. This phase includes the Architect’s designing of details, as well as the Owner’s final selection of materials, finishes, appliances, and/ or fixtures. Changes to the project required by any party other than the Architect or AHJ after completion of this phase are Additional Services. Deductive Alternative: When putting a Bid Set together, the Owner and Architect may want to know the cost for subtracting something or substituting for something that may be less expensive. An example may be that a guardrail is shown in the drawings to be glass, but the Owner and Architect want to know how much less it would cost to have aluminum posts with stainless steel cables instead. This alternative option that will subtract cost from the project is known as a Deductive Alternate. The Architect may list Deductive Alternates at the beginning of a drawing set or in the Instructions to the Bidder. Demo: Demo is short for Demolition. If your project is a renovation or addition to an existing space, Demolition is typically performed at the beginning of the construction process. Demo Permit: A Demolition Permit is a Permit issued by the local authority having jurisdiction to perform demolition work. Demo Set: A Demolition Set is a separate drawing set, submitted solely to receive a Demolition Permit. Often, local authorities will issue a Demo Permit for non-structural demolition, allowing an Owner to begin demolition while the remainder of the Construction Documents are being created or reviewed for a Construction Permit. DEP: DEP is short for the Florida Department of Environmental Protection. Projects in environmentally sensitive areas in Florida, such as on beach-front properties and on sites where Wetlands are present, require DEP approval. Design Build: Design Build is a popular term used to describe that there is one entity responsible for the design and construction of a project. Anyone can use this term, as there are no legal implications, nor licensing requirements. A Design-Builder may hire an architect, engineers, and/ or a General Contractor. Most often, Design Build is accomplished by a partnership between an Architect and a General Contractor. DOH: DOH is short for the Florida Department of Health. Projects with certain heath considerations in Florida, such as commercial swimming pools, have to receive approval from the DOH. DRB: DRB is the acronym for Design Review Board. While the term DRB is particular to Miami Beach, local jurisdictions have similar boards who, depending on the jurisdiction’s rules, may have to approve new construction and/ or alterations to existing properties. Easement: The term Easement is most commonly used to refer to the area of land on your property that your local government has the right to build upon. Egress: Egress is another way of saying exit. It is often used when discussing how to get out of a building in regards to fire and life safety requirements. Associated with this is the term Means of Egress. Elevation Certificate: An Elevation Certificate is a document that certifies the F.F. of your property, and it also lists the required B.F.E. The Elevation Certificate is a critical document for your insurance purposes, as well as for floodplain management. If you are doing renovation work in a coastal or flood prone area, a copy of the Elevation Certificate should be given to your Architect at the start of the project. If you are building a new project, you should obtain an Elevation Certificate after construction is completed. FAR: FAR stands for Floor Area Ratio. FAR is typically calculated as the sum of the gross building floor areas divided by the overall lot size. Often FAR is limited in local Zoning Codes; thus, only allowing you to build a building of a certain, maximum size. You will be best served by referring to your local Code or asking your Architect if and how this applies to your project. FBC: FBC is the acronym for the Florida Building Code. The FBC is a building regulation code, which affects all development in the state of Florida. It can be found at http://codes.iccsafe.org/Florida.html. Feasibility Study: A Feasibility Study is a process or an architectural phase in which the overall project Scope is explored and established, so to prevent potential additional services, changes in scope, future value engineering, and other required changes. The Architect may meet with the AHJ‘s to verify that the Owner’s desires can be achieved within the applicable Building Code and Zoning regulations, and the Architect may present rough construction cost estimates to ensure that the project goals can be achieved within the Owner’s desired budget. This phase sets forth a defined road map and Scope for project completion. F.F. : FF stands for Finish Floor. It is typically used as a reference and datum line from which elevation markets are indicated. FF&E: FF&E is the acronym for Furniture Fixtures & Equipment. Often, the FF&E budget is considered separate from the architectural construction budget. Finish: Finish refers to the outermost layer of a system that a person can touch. For example, the finish on a floor may be tile and the finish on a wall may be paint. FP: Depending on context, FP may stand for Fireplace or Fire Protection. Framing: Framing refers to structural pieces that create a form, such as a wall or a soffit. Framing is typically wood (dimensional lumber) or metal (steel studs). Furring: We’re not talking about what sheds from your pooch. Furring relates to slightly building out an area. For example, if you are placing furring on a CMU wall, you are likely placing a metal or wood stud (or channel), with a finish (usually gypsum board) on top of it. Furring Chanel: A Furring Channel is a slim piece of metal specifically used to Furr Out an area. This term may also be used to refer to Hat Channels. Furr Out/ Furr Down: A Furr Out is when you build out an area, as described in Furring. Furr Down is a term to describe a similar condition- when you build down (and/ or around) in an area. A Furr Down usually refers to a built-out area of framing and finish above upper cabinets, and it may also create a finished, built box around an air duct. Gable: A Gable is the flat wall infill portion of a triangular shaped, pitched roof. Gable Roof: A Gable Roof is a pitched, triangular shaped roof with sloped sides on two sides, and a Gable at the end. GC: A General Contractor is a Contractor, who is licensed by the state to oversee a construction project. Usually, a General Contractor holds the contract for construction with the building Owner, and the General Owner hires Sub-contractors for certain disciplines of construction. Geotech: Geotech is a common abbreviated term to describe Geotechnical Engineering. Before structural engineering work for where your building meets the ground can begin on your project, a Geotechnical Engineer needs to be hired to create a Soil Report. GFI/ GFCI: GFI stands for Ground Fault Interruptor, and GFCI is the same, with C meaning Circuit. In short, GFI outlets are grounded and shut off when they detect that electrical current is flowing where it shouldn’t be. Code requires them to be placed at wet locations, such as around your sink. Glazing: Glazing isn’t just the yummy sugary substance on your donuts. Glazing is an industry term referring to glass, be it windows, storefront, or curtain wall, etc. Glulam: A Glulam is basically a wood beam that is made up of several layers of glued wood. It’s relatively less expensive than a solid wood beam, and it is also very strong. GMP: GMP stands for Gross Maximum Price, and it is an option for how to structure a Bid and Agreement from a General Contractor (GC). In a GMP arangement, the GC agrees to a maximum Construction Cost for the project; essentially an amount to not exceed. Of course, if changes are made to the project, the price can go up. The benefit of a GMP is that a client is guaranteed a certain price for the work to be built. The drawback is that the client does not have a say in how the Contractor achieves that price; so the GC decides on the sub-contractors and makes many decisions during the construction process, so to stay within the promised maximum amount. Green: Green is a color that mixes yellow and blue (in case you didn’t know)… It is also a term used to describe environmentally friendly buildings and products. What does that mean? Great question! Often, it means that products are made with recycled materials or wood is from a forest that plants a new tree for every tree it tears down, etc. ; but the truth is that “green” is a relative term, open to interpretation and often used by many for marketing purposes. If you want a real green project, ask questions about what makes your project green. Gyp/GWB: Gyp is short for Gypsum, and GWB is the abbreviation for Gypsum Wall Board. It is the most common wall and ceiling finish material used throughout the U.S. (and probably the world). You may know it by the generic name of Sheetrock or Drywall. GWB is comprised by gypsum plaster, sandwiched between two layers of paper. Hat Channel: A Hat Channel, also called a Furring Channel, is a shallow metal piece that is typically used to build out ceilings and walls. Often exterior walls are comprised of CMU with a Hat Channel and GWB. Hip/Hipped Roof: A Hipped Roof is a sloped roof where the pitch slopes downward on all sides. Think of a pyramid shape. Hipped Roofs are common on Ranch Style Homes. HOA: HOA stands for Homeowner Association. Some neighborhoods have HOA’s, which have regulations governing development. Before starting a residential project, it is recommended that you investigate if there is an HOA, and if so, what regulations they have that may affect your property and plans. HVAC: HVAC is the acronym for Heating Ventillation and Air Conditioning. It is the common industry term to refer to the heating and cooling system(s) of a space. IPD: IPD is short for Integrated Project Delivery. IPD is a project delivery process in which the Architect, engineers, contractor, and other consultants collaborate from the beginning of the design process. Laminate: A Laminate is an applied finish. Often you will see laminates used for cost effective flooring and for an applied finish on millwork. LEED: LEED is the acronym for Leadership in Energy and Environmental Design. LEED is a certification and accreditation program for green building managed by the USGBC. Life Cycle Cost: Life Cycle Cost is the total price that you can expect to pay for a products, material, system, or building over its respective lifetime. This includes the initial cost, installation cost, operational cost, maintenance, and upkeep cost. For example, when considering a wood trellis or a steel trellis, the initial cost for a steel trellis is more expensive than a wood trellis, but the maintenance and upkeep of a wood trellis is more expensive. Other examples are an energy efficient air conditioning system and using solar panels. The initial cost is more expensive than traditional systems, but the Life Cycle Cost includes the evaluation of the money you will save by using the system. When deciding upon materials and systems, it is wise to consider the Life Cycle Cost. LOD: LOD stands for Level of Development or Level of Detail, and it is used, on a scale of 100 through 500, to describe the amount of information in a BIM. The higher the LOD, the more accurate the information is within it. LOD, as defined by BIM Forum, the AIA, and CSI establishes industry standard specifications for the information and accuracy contained within a BIM. Master Permit: The term Master Permit refers to the permit for general construction activity. Often, projects require multiple permits. MEP: MEP is short for Mechanical, Electrical, and Plumbing. An MEP Engineer creates the engineering drawings for your HVAC, electrical, and plumbing systems. MEP+FP: MEP is short for Mechanical, Electrical, Plumbing, and Fire Protection. This abbreviation is used to describe MEP Engineering, plus the engineering of fire protection systems, such as fire sprinklers. Miesian: Miesian is a term used to describe a style of architecture, influenced by Mies Van Der Rohe, who is renowned for his Modernist, International Style designs. Some key features of this style include steel structures with glass doors and windows, and an open plan. Millwork: Millwork refers to built-in cabinetry. Modern: Modern is often used to describe minimalist architecture, in contrast to Traditional or Classical designs. Modern architecture stems from the Modernist movement, which arose at the start of the 20th Century as new building technologies emerged, including steel structures, more expansive glass, and elevators. Modern has grown to be a generic term that may have relatively different meanings to the one using it. Mullion: A Mullion is the vertical element that divides pieces of glass between windows and doors. The mullion is structural and hold the piece of glass in place. Muntin: A muntin is the element that creates multiple segments, known as lights, within a window or door panel. Muntins are often horizontal or in diamond patterns. Modern glass assemblies often use applied muntins, which are placed on the glass surface, to create an appearance of smaller segments of glass. NAVD: NAVD stands for National American Vertical Datum. NAVD, established in 1988, is one way to reference the vertical height of your property. When building in flood prone areas, the vertical elevation is important, as it may be used as the way to note your BFE. The City of Miami Beach has been switching from using NGVD to NAVD as the way they indicate vertical elevations. Both NAVD and NGVD are acceptable references for elevations, and there are conversion calculators on-line for the two datums. NGVD: NGVD stands for National Geodetic Vertical Datum. NGVD, originally known as the mean Sea Level Datum of 1929, is one way to reference the sea level, so to establish relative elevations for properties. When building in flood prone areas, NGVD is important, as it is often used as the way to note your BFE. Often yo will see NGVD elevations on your Survey and Elevation Certificate. OP/ CI:‌ OP/ CI means Owner Provided & Contractor Installed. It’s a common note on drawings when an owner is purchasing an item and the contractor will be the one to put it in, as opposed to the contractor purchasing and providing the item. An example may be if the Owner is buying an appliance or fixture and the contractor will be the one to install it. One reason this process may be followed is if the Owner already already owns the item; and therefore the Contractor doesn’t need to order it. Another potential reason is if the Owner is choosing to purchase the item on his/ her own, so to not pay the Contractor’s mark-up fee for purchasing and processing. This note let’s the Contractor know to include time to install the item, while excluding purchasing and processing for the item from the bid. Parapet:‌. A parapet may be thought of as a wall that continues above the roof line. Often a parapet is present when you have a flat or a low slope roof. Phases:‌ Phases refers to breaking up a project into parts. There are certain phases in the Architectural Process, and there may also be phases planned for construction. Permit: Permit is the general term used to refer to a Building Permit or a Construction Permit. The local AHJ issues a permit (or multiple permits), so that construction activity may take place. Performing construction activity without a Permit may lead to fines, penalties, the repetition and correction of completed work, sub-standard work, and work that does not comply with required building regulations and Building Code. Permit Set: A Permit Set is the set of drawings that is submitted to the AHJ to receive a Permit. Permitting: The Permitting phase of the Architectural Process involves the Architect’s potential communications with AHJ‘s, including responding to City comments and revising the Construction Documents, so to receive said authorities’ approval of the Construction Documents. Pre-Design Services: Pre-Design Services include the Architect’s initial meeting with the Owner, the establishment of programmatic requirements, site visits, site research, verification of existing conditions, and research of AHJ‘s and applicable Building and Zoning Codes, as well as initial meetings with AHJ’s, if necessary. It may also include the documentation of the existing conditions and the creation of architectural trade as-built drawings of the existing conditions. RA: RA is the post-nominal abbreviation to identify the credentials of a Registered Architect. 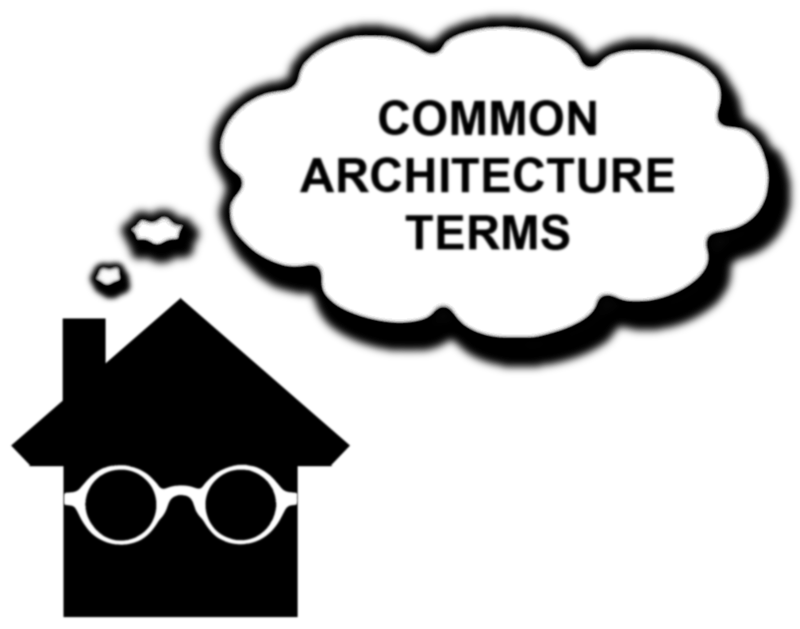 Often, if an Architect is a member of the AIA, he/ she will list AIA, rather than RA, because one must be an RA to legally list the credential abbreviation of AIA. RCP: An RCP, short for Reflected Ceiling Plan, is a common drawing in an architectural set. While a Floor Plan is looking at the space, as though you are looking down to the floor, an RCP is a plan of the ceiling, as though you are looking up at it. Revision: A Revision is the technical term used to describe a change to the drawing set after the Permit Set has initially been submitted to the AHJ. Revit: Revit is a software that allows for a BIM to be created. ROI: ROI is the acronym for Return on Investment. When working on a project, big or small, the ROI is often a consideration for the Owner and Architect. ROW/ Right of Way: The Right of Way is the area of property that the local AHJ has the right to use for their purposes. Often, local municipalities have a certain ROW’s to run electrical, gas, water, and sewer utilities. The ROW may also include room for a sidewalk. If your property is on a street corner, the ROW may include space for traffic signs, signals, and view corridors to prevent blind spots around turns. RTU: RTU stands for Roof Top Unit, and it is an air conditioner that is made to be placed on top of a building’s roof. Using an RTU is a common way to provide air conditioning without the A/C being placed at the floor level. SD/ Schematic Design: Schematic Design is the first architectural phase in which the design is organized and established. This phase involves the development of graphic and/ or written conceptual design solutions. Scope: Scope is the term used to describe what is included in an A&E professional’s services. Setbacks: Setbacks are established by the local AHJ and are often listed in the local zoning code. Setbacks set forth the distance that is required to be kept clear between your property line and the start of your building and/ or building elements. Shop Drawings: Shop Drawings are technical drawings created by a GC’s sub or the manufacturer of a product or system, which show exactly how something will be built or put together. Shop drawings are typically sent to the Architect for review and approval. Soffit: A soffit is a term that is used to describe the underside of a building element. It is often used to refer to the finished underside of an eave on the outside of a building, and it is also used interchangeably with Furr Down to refer to the finished, built box above upper cabinets or around an air duct. Spandrel: When used in modern construction, spandrel typically refers to spandrel glass, which is opaque glass, utilized to hide what is behind it. In buildings that appear to have an all glass facade, regular glass is typically used where you want the public to see in from the outside and users to see out from the inside, while spandrel glass is placed to cover the space between- where there is a floor slab and air ducts, creating the appearance of an all glass facade from the exterior of the building. Specialty Engineer: A Specialty Engineer is an engineer with focus and/ or expertise for something that another, typical engineer does not already include in their work. Typically, a Specialty Engineer will create Shop Drawings for the Architect and/ or Engineer of Record to review. A common item for a Specialty Engineer’s attention is railings. Spec Book: A Spec Book is a set of documents that includes Specs for a project. A Spec Book is typically used on a large or complex project for which there are many building element selections and performance requirements. Specs: Specs is short for Specifications, which are how building elements and systems are identified on a project. Specs may be descriptive, proprietary, performance, or reference standard. On smaller projects, Specs are often placed directly within the drawing set, and on larger projects, a Spec Book is typically created. Examples of specs include the selections of paints, lighting fixtures, and wall insulation. Standard of Care: Standard of Care is the term used to describe the typical requirements of an RA. It is the Standard that is to be expected from an RA, and it basically means that an Architect will perform his/ her work to the level/ standard of other architects practicing in similar situations- on similar projects in the local area. Stringer: A Stringer is the structural side piece of a stair that holds up the treads and risers. Stud: A stud doesn’t just mean a cool, attractive guy or a piece of pricey jewelry. In architecture, the term Stud is used to refer to typical, nominal sized wood or metal structural pieces. Stud Wall: A Stud Wall is the most common construction system for interior walls. A stud wall has a wood or metal stud structure – typically with GWB or another finish on each side. Sub: Yes, Sub could mean that tasty sandwich with all the fixin’s, but in architecture, Sub refers to sub-contractors hired by the GC or sub-consultants hired by the architect. Sub-contractors, such as an electrician, work under the GC; and sub-consultants, such as a structural engineer, work under the architect. Survey: A Survey is when you take a show of hands to… J/k. Survey refers to a Property Survey, which is typically required by the local AHJ when you submit a Permit Set. Obtaining a Survey is usually the first step when you start a project. The Survey serves as a canvas for the Architect to begin his/ her work. It is important to receive a Survey for construction with all of the information needed by your Architect and AHJ and to be aware that a Survey for Construction contains more information that a Survey for sale/ real estate or property taxes purposes. T.O. : T.O. is the acronym for Top Of, and is t is often used on A&E drawings. Examples where you may see this are T.O. Slab and T.O. Roof. Traditional: Traditional is a generic term often used to describe a design style that is not modern, nor contemporary. Traditional can mean different things to different people, but generally speaking, it usually alludes to a style that is more ornate than modern design. USGBC: USGBC stands for the United States Green Building Council. The USGBC is an independent organization, not a governmental agency, that manages LEED and establishes certain measurable criteria for green building certification. VDC: VDC is the acronym for Virtual Design and Construction. VDC is similar to BIM, but VDC includes virtual modeling of the construction process. A VDC model, in addition to a BIM with all of the disciplines, may include phasing and locations of cranes, etc. VE: VE is short for Value Engineering. VE is a nice way of saying that you are making changes and decisions to lower the construction cost of your building after the design process has already begun or been completed. Vernacular: In architecture, Vernacular is a term used to mean of the local tradition. For example, Vernacular architecture in Miami is different tha Vernacular architecture in Vermont because both locations have local, traditional building design styles, based on the local climate and history. Vernacular architecture usually refers to a more functionally focused design. For example, Vernacular Architecture in Miami includes overhangs to protect from the intense sun, while Vernacular Architecture in Vermont includes steeply slopes roofs to allow for snow to shed from the roof. Are there terms you think we should include, or do you have questions? Send us a message here, and we’ll write back to you!